<?xml:namespace prefix = o />One of the best things Aamir Khan [Images] said he did during the making of Jaane Tu... 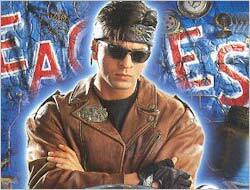 Ya Jaane Na was bring cousin and ace director Mansoor Khan back to Bollywood. And we have to agree. 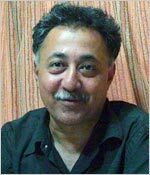 Mansoor has directed only four films in the last 20 years -- Qayamat Se Qayamat Tak, Jo Jeeta Woh Sikandar, Akele Hum Akele Tum [Images] and Josh. After that, he disappeared from the film industry, and settled down to a life of farming in Coonoor, Tamil Nadu. Finally, Abbas Tyrewala's film Jaane Tu... will see him return as a co-producer. The film stars his nephew Imraan Khan and Genelia D'Souza. You went to IIT, then dropped out; went to USA for further studies and then dropped out of that as well. Then, you made your first film, Qayamat Se Qayamat Tak and then after Josh in 2000, you disappeared and took up farming. Why do you keep moving on one thing to another? (Laughs) I have always done something and then dropped it because I have always followed my heart. I was not dropping out as much as I was moving towards something. This time, I moved to Coonoor and am doing what I always wanted to do. I didn't want to be in a city. It seems bad because I had a successful film career. But to be honest, if I don't feel like making films and then make a film for the heck of it, it would turn out bad. I would also lose goodwill. When I studied engineering, I liked it. But I did not want to pursue it as a career. I still like engineering and take a keen interest in it but only to know things. What made you start a career with Qayamat Se Qayamat Tak? My father, Nasir Hussain, was very clear that he wanted to launch Aamir as a hero. He wrote QSQT for Aamir. In between, I made a short video film for Doordarshan. My father saw that and he was convinced that I could direct. So he decided to give me QSQT. You took many new faces for that film like singer Udit Narayan and music directors Anand-Milind. Was your family going through a rough financial patch? No. It's not that we took them because we faced bad days. I liked Udit's voice for Aamir and Anand-Milind had composed good music. I had a lovely opportunity to work with Panchamda (R D Burman) but I knew I wanted to work with Anand-Milind. We weren't cutting corners. They were tough times, yes, because we had two flops [Manzil Manzil and Zabardast]. But we were starting on a clean slate. But is it not true then your family was facing a financial crunch? Yes, there was. But luckily, it did not take much money to make a film in those days. Did you feel Aamir will become a superstar? No, I didn't think that way. Someone had asked me then what I was doing. I said that I was making a film. He then asked me if I was making a super-duper hit film. But I realised that I had not even thought about it. I was just trying to make a good film. You have always been in background though you were the person who made Aamir Khan. No, no, no... that is very unfair. It's not that QSQT made Aamir. He had a great debut, no doubt, but so many people make great debuts and then fade away. Aamir had a very clear vision. I am glad my film gave us a good launch. Coming to the present, are you still associated with the Narmada Bachao Aandolan? I am not only associated with NBA, I am doing stuff for soil depletion, chemical agriculture, environment and forest cutting. Narmada is the mother of all these issues. I am not NBA person but I am connected with these issues. Are you involved with organic farming? Yes. I don't use any pesticides or artificial chemicals in my farm. You learn the hard way. It's like you smoke all your life and then you realise that you're not supposed to smoke. Do you think the Green Revolution spoilt India's farming life? Of course! It's like taking steroids. You take steroids and look like Arnold Schwarzenegger [Images] for two years. But after that, your body will start breaking down. Go to Punjab and see the situation now. This form of agriculture is very short-term and destructive. When did you reach the turning point, when you thought you were wasting your time here? I mean, that's how you felt. Absoultely, I felt that way. Earlier, I thought I will live just outside Mumbai and continue this. I had a place in Mandwa [about 120 km from Mumbai] but I felt it was too close to the city. So I took a radical step by going to Coonoor. Is it true that Aamir wanted you to direct Taare Zameen Par [Images] after Amol Gupte dropped out? No, Aamir wanted me to direct the film before Amol started. Amol had narrated the script to me first and then he said that he wanted to talk to Aamir about it. When Aamir approached me and asked me to direct the film, I told him that Amol is the right guy to direct Taare Zameen Par. Why did Aamir want to bring you back in the film industry? I think Aamir likes that sensibility between us. But I am not motivated by any script. Why not do a realistic film -- a sort of documentary -- on the ill effects of the Green Revolution? Honestly, I have to discover that. I cannot force that on me. I had written a script connected with the water issue and Aamir liked it very much. But I felt I was not doing justice to that script. Aamir keeps telling me that I must make a comeback but I feel that I have to say more than that in my films. Coming to your films, do you think you made a mistake by casting Shah Rukh Khan [Images] and Aishwarya [Images] as siblings in Josh? No, I don't think that way. If I had done the film better, no one would have thought that. I had Kajol [Images] in mind but she didn't agree. So I took Aishwarya. Which recent films did you like? I liked Aamir's Taare Zameen Par and Farah Khan's [Images] Om Shanti Om.